Looking to get a head start on your holiday shopping this year? Give them the gift of climbing! This year, on Small Business Saturday – Saturday, November 26th – buy a gift card and you will receive a 20% discount! For example, buy a gift card worth $100 but only pay $80 for it! This deal is only valid in person or over the phone, 540-685-2360, and only on Small Business Saturday, November 26th! Unfortunately we cannot offer this special through our website as our online purchasing system does not accept discount codes, this is why to get this deal you must purchase in person or via a phone. Sorry! To help you out, we’ve put together a list of some of our favorite gift card options for this holiday season. Let them come to our facility and climb their hearts out with a Day Pass and Rental Gear! Our Day Passes are valid for the entire day, so they can come climb in the afternoon, go eat dinner, and then come back and climb some more! Our gear rental includes shoes, a harness, and chalk. Below are the prices, including tax, for a day pass and rental gear. Youth Day Pass with Rental Gear – $18.42 –plus 20% off! Discounted Adult Day Pass with Rental Gear – $21.42 –plus 20% off! Adult Day Pass with Rental Gear – $23.42 –plus 20% off! 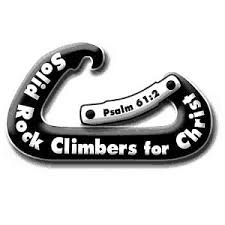 This is a great gift for someone who you know will want to climb multiple times this coming year. Punch Passes are available in 5 punches or 10 punches and do not include any gear rental. Youth 5-Punch Pass – $45, 10-Punch Pass – $85 –plus 20% off! Discounted Adult 5-Punch Pass – $60, 10-Punch Pass – $110 –plus 20% off! Adult 5-Punch Pass – $70, 10-Punch Pass – $130 –plus 20% off! Have an avid climber or athlete in your life? This is the gift for them! Memberships come with lots of great benefits including unlimited climbing, free rental gear for the first month, and discounted or free fitness classes. A month of membership lasts for 30 consecutive days and is definitely the best deal that we offer, so even if they may only come once a week, this is the best offer. Youth 1 Month Membership -$57 –plus 20% off! Discounted Adult 1 Month Membership – $62 –plus 20% off! Adult 1 Month Membership $67 –plus 20% off! Couple 1 Month Membership – $104 –plus 20% off! Family (up to 4) 1 Month Membership – $140 –plus 20% off! Additional Family Member 1 Month Membership – $39 –plus 20% off! You can’t go wrong with giving them a gift card with $25 or $50 or any amount you want on it. 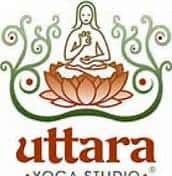 They can come in and redeem the gift card for whatever they would like, whether it’s a day pass, a membership, snacks, or one of our yoga classes. Let them choose how they want to use it in our facility. If you’re interested in more of our products visit our PRICING PAGE.